A beautiful and historic 19th century farmhouse and barn situated on 15 picturesque acres is a favorite with area residents for weddings, receptions, meetings, luncheons, small conferences, retreats, reunions and other social affairs. The Polen Farm house includes a roomy living room, dining room, sun porch, and banquet room. A seasonal tent covers a large patio providing the flexibility of an indoor or outdoor event. These features make the Polen Farm House the perfect place for a small, intimate gathering or a slightly larger event, of up to 130 people. 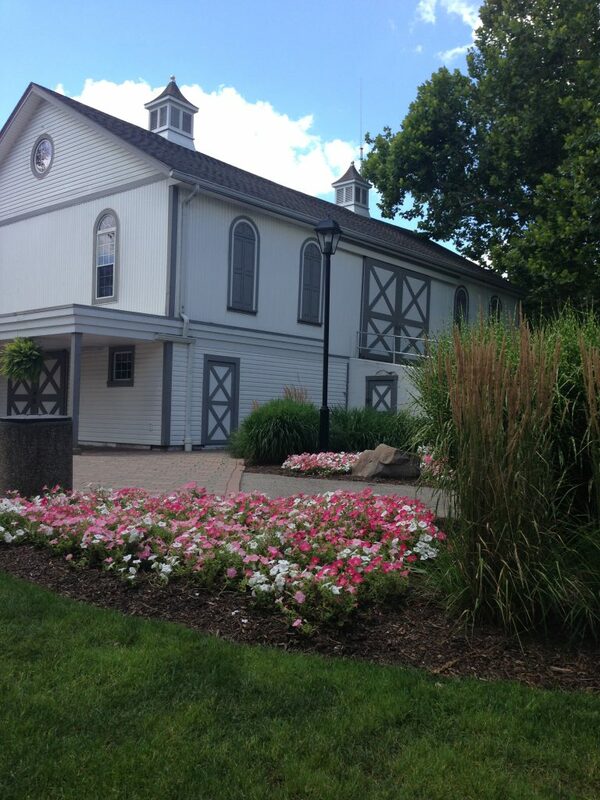 Unequaled in the community is the Polen Farm Barn. 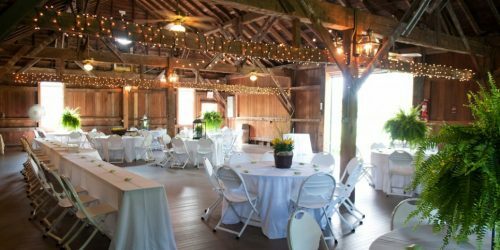 Through renovation, the barn has become an ideal setting for wedding receptions, graduation parties, family reunions, company picnics and other corporate events. The lower level, which features a small service kitchen, will accommodate up to 125 people and is usable year-round. The upper level is roomy enough for as many as 175 people. The grounds around the farmhouse and barn have been preserved to a large extent in their natural condition. 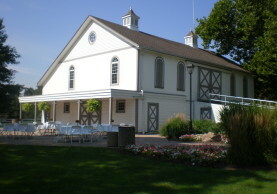 Highlights include a formal garden patio and a Gazebo perfect for outdoor weddings and small musicals. 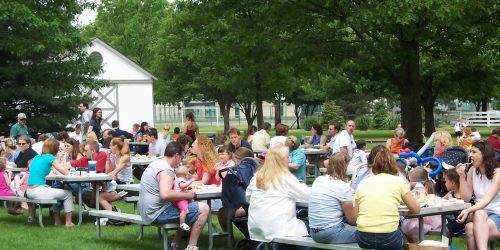 When the facility or grounds are not reserved for a private renter, Polen Farm’s picnic areas are available for public use as well. A brick path leads from the patio outside the Banquet Room to the Gazebo, a lovely structure so popular for outdoor weddings that it was selected for use in the Polen Farm logo. The white iron benches that face the Gazebo provide seating for 208. 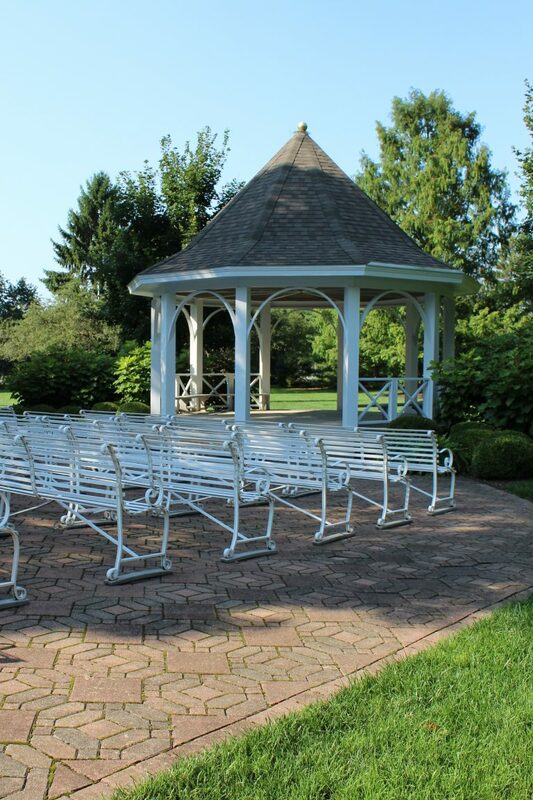 The use of the Gazebo is included in all rental prices or can be rented separately for wedding ceremonies. Peak Season Weekend Rental Rates are valid April-October for rentals taking place Friday after 5 p.m. through Sunday. Off-Season Weekend Rental Rates are valid November – March for rentals taking place Friday after 5 p.m. through Sunday. Weekday Rental Rates are valid Monday through 5 p.m. Friday. 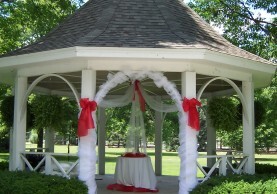 Two hour bookings must end by 3 p.m.
Gazebo Only Rental Rates are $225 per hour and with a two hour minimum rental. Weekend weddings (only) must be completed by 3 p.m. No discounts apply. The Short-Notice Rental Discount Rate is $750 for 6.5 hours for the barn or house and must be booked within six weeks of the event. No other discounts apply. A $300 deposit is required for all events held on a weekend. A $150 deposit is required for all weekday and Gazebo-only rentals. Individuals who live or work in the City of Kettering and businesses with an office located in Kettering may deduct 20% from the weekend rates. Groups who carry the 501(c)(3) classification are eligible for a 15% discount off of the current rates. Families looking for a location to gather after their loved ones services can use either the house or barn at a discounted rate of $300 for up to 6.5 hours. Tent available April through October. Entire facility rates will apply to all events with anticipated attendance over 200, all weddings and receptions, “reception-only” and all multi-family events. Additionally, all multi-family events will incur an additional $100 fee per additional graduate. Additional fees may apply based on the size of the event/party. Any booked Friday events must roll into the evening hours. Weekend rates apply to the following holidays: January 1, Memorial Day, July 4, Labor Day and New Year’s Eve. No rentals on Thanksgiving, Christmas Eve or Christmas Day. To find out how Polen Farm can best suit your needs, call 937-435-5787 from 9:30 a.m. to 2:30 p.m., Monday through Friday or use our contact form below. Tours may be scheduled during office hours or on evening/weekends if needed. When calling about your event, it’s helpful if you are prepared with the following information: type of event; number of people attending and date and time preferred (first and second choices). Polen Farm reservations for all 2019 dates will begin on Thursday March 1, 2018 at 9:30 a.m. Patrons may reserve dates in person or by phone by calling 937-435-5787. Please note: this is the Current List as of March 1, 2018 and will be updated as the selected caterers complete their eligibility requirements. We know how important the layout is to the success of your event. To help, we’ve included floorplans on this site to help you determine where everything should go. Have you rented Polen Farm? Leave us your feedback here!